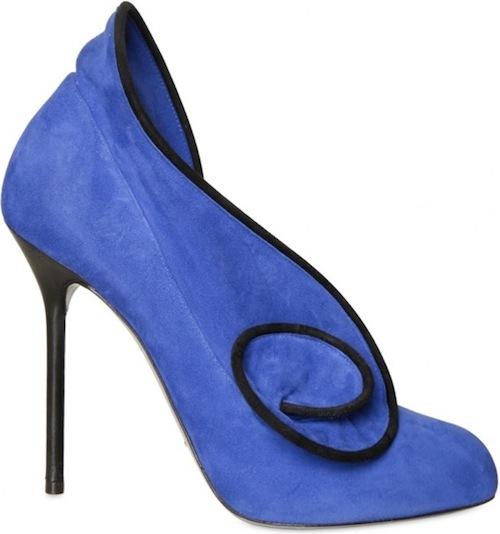 Sergio Rossi's Tortuosa bootie retailed in the $897-$1595 range and are from the Fall 2011 collection (photo credit). Paris Hilton has a similar bootie available for $109 at Macy's, also available in a rust/red color. Click on the image below for more information or to purchase.